The Parent Teacher Organization (PTO) is an active partner in the school by promoting cooperation and communication within the school community, supporting the educational experience of the students and identifying fundraising opportunities. PTO meetings are open to all interested parties and are conducted bilingually. The PTO encourages parents to participate in activities, events and meetings hosted throughout the year. PTO members elect officers annually. Parents are expected to attend four annual parent-teacher conferences. At each conference, your child’s teachers will provide you with information on your child’s academic and social development progress. The conference is intended to share information that can be used to support your child’s ongoing learning and to foster collaborative relationships between parents and teachers. Parent-teacher conferences give parents specific knowledge about their children’s learning at school and specific insights in the Montessori methodologies. The Back-to-School Night is organized at the beginning of each school year. The Back-to-School Night is the opportunity to meet your child’s teachers, principal, and other LAMB staff, as well as to meet new and returning parents. At the beginning of every Back-to School Night,LAMB staff provides an overview of the school year and goals. Following this meeting, community meetings are conducted by your child’s teachers in their classrooms. Parents are strongly encouraged to participate in the bi-annual parent workshops. 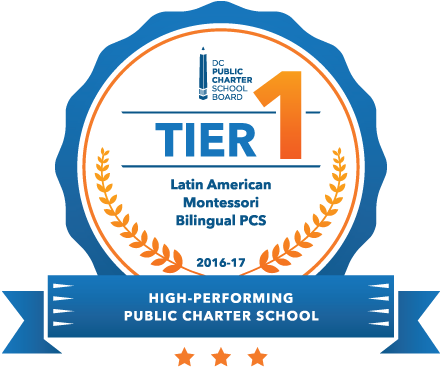 The parent workshops provide multiple options for parent education including the following topics: Montessori education, dual-language immersion, and middle-school transition. The parent workshops are typically scheduled for one Saturday in the Fall and one Saturday in the Spring. LAMB announces the specific dates for these workshopsin the academic school calendar. LAMB staff and parents collaborate in organizing these workshops. Each month from September to June, LAMB staff, students, and parents join together in a celebration of peace and community. Student and classroom achievement is recognized at the Peace Ceremonies. Parents will receive notification prior to their child receiving recognition. The school calendar identifies dates for the Peace Ceremony at each facility. Each classroom has the opportunity to present and perform a few times a year. A schedule of classroom performances is available through the newsletter and on the classroom notice boards. During the course of the school year, families are invited to attend a variety of events at the school--these events include environmental days or school improvement days. Students often organize these events with support from LAMB staff, extended day providers, and parents.